Video games are essentially linear interactive stories. Sure, we get to fight our way through the story, but in the end – no matter our play style – the story is still the same. That’s where Telltale Games stepped in. The small California based company saw video games as a unique means to tell an interactive story where your choices matter and change the outcome. Not just in arbitrary ways, such as – here’s a branching path, do you want to go left or right? – where one path takes you on a high road overlooking an area and the other takes you on the low road (looking at you Gears of War), but rather in ways that effect the story outcome. Who lives, who dies, and how the characters of the story treat you was based solely on your choice of words and actions throughout the adventure. It was a fresh take on how a video game could be played. Basically, a Choose Your Own Adventure story in video game form, and gamers ate it up. Telltale Games had an inauspicious start, using small established properties such as Wallace & Gromit and Sam & Max to create adventure games told in five or so episodes. 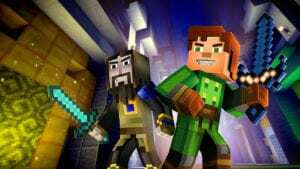 Each episode was independently released, with gamers having to wait weeks between each to continue their story. Think of it as a TV show, but in video game form. These games brought attention to Telltale Games, but in no way did they make the small company a house hold name. That would come later. Due to the slow burning success of both Wallace & Gromit and Sam & Max, Telltale was offered the chance to tackle more established properties, such as Jurassic Park and Back to the Future. While Jurassic Park was a bit of a letdown, despite having a few interesting moments – Back of the Future was a retro blast from the past; equal parts exciting and fresh. The story put players in the shoes of the always interesting Marty McFly and allowed them to relive their memories of the films, but this time by being part of the story. Sure, the game had an original story and didn’t follow the movies, but the nostalgia was there, and the game went on to be Telltale’s first real breakout. Needing to sell only 100,000 or so copies to be profitable, the game easily sold double that. Yet, the Telltale formula still wasn’t quite complete. Many of its releases remained essentially point and click adventures; they all played out the same no matter what actions you took. 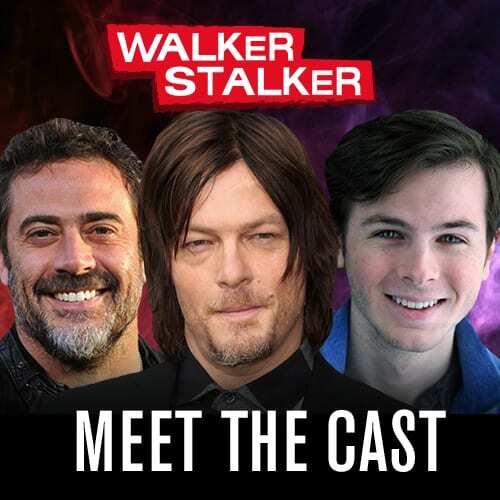 All that changed with the release of their next project, The Walking Dead. The Walking Dead is a franchise beloved by millions. 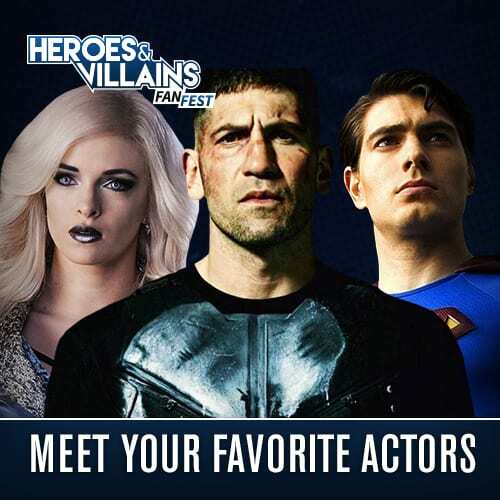 The comic book and TV show both have diehard fans who follow every plotline and argue over every choice the protagonists make – or every choice the showrunners/comic writers make – with a degree of passion unseen in most media. This passion helped lead Telltale Games to their first massive hit. 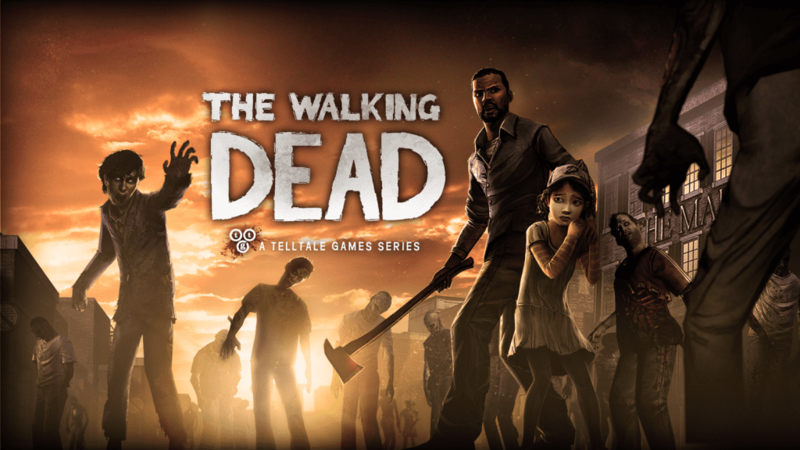 In 2012 Telltale secured the rights to The Walking Dead and released the first game in a planned series, all revolving around a little girl named Clementine. 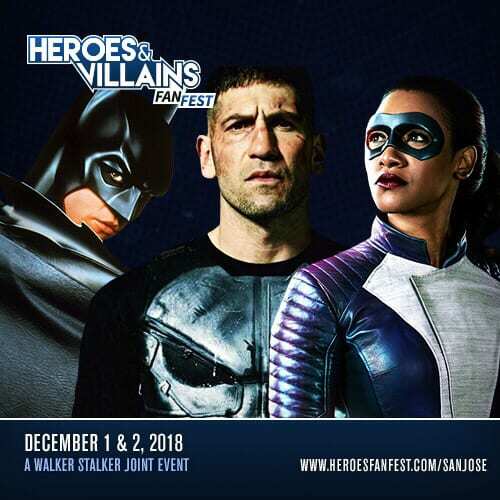 None of the characters known throughout the TV show or comics were present, at least at first, but fans still lined up to purchase the game. Selling over 8 million copies, the game was a hit even by AAA video game standards. The Walking Dead proved worth the hype, as It presented a heart wrenching and fascinating story where your choices truly seemed to change the way plot points played out. Nobody was safe, anybody could die or turn on you – for once there was a real sense of urgency to your choices. This urgency was even more pronounced due to Telltale’s inclusion of short time limits in which the gamer was forced to make important choices, otherwise the game would choose for you. The game was a massive hit and Telltale Games was launched into mainstream popularity. No longer were they the small California based company releasing niche games. 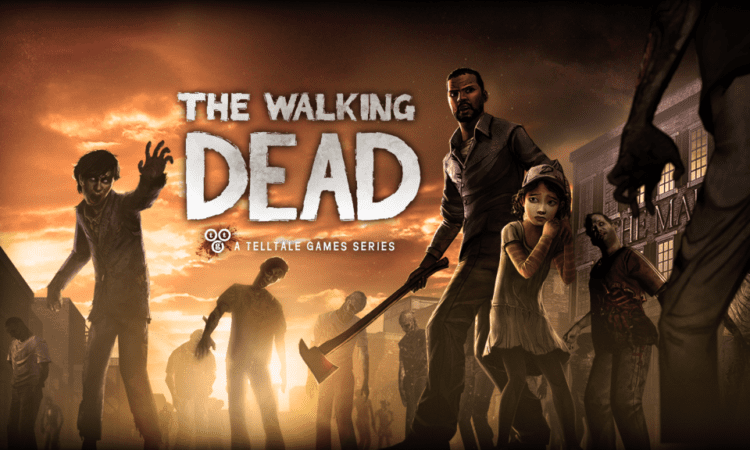 With the release of The Walking Dead, Telltale had finally perfected their concept. Episodic content with real choices, quick time events and branching storylines that could take you to completely different locations based solely on your choices. Someone may live and be your best friend, or they may die early on and change the whole storyline. It was unlike anything seen before for many gamers, and fans clamored for more. The popularity of The Walking Dead led to Telltale’s acquisition of more licenses, such as Guardians of the Galaxy, Borderlands, Minecraft, Game of Thrones and Batman. In-between these new releases, Telltale continued the Walking Dead story, with each new entry showing Clementine growing up and slowly becoming a leader. It was fascinating to fans to watch her journey, as many became attached to the character and argued that the story being presented exceeded the TV show. Gamers loved the feeling that their choices, from the first game on, had made an impact on how Clementine’s journey was playing out. This was helped by Telltale’s brilliant decision to make choices made in one game transfer over to the next, thereby ensuring that those who lived or died by your choices remained that way for future entries. 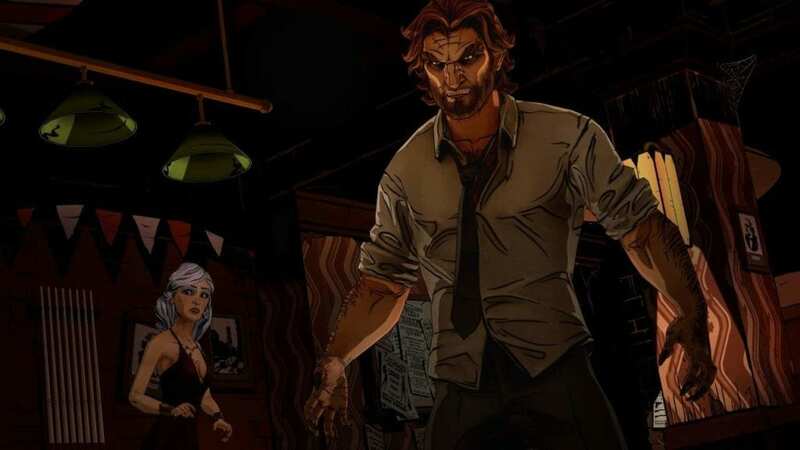 During this time Telltale made jaunts into other territories, including the creation of their (arguably) second best game, The Wolf Among Us, which focused on a group of fairy tale characters forced to live in the ghettos of the real world, taking medicine to look human. Sadly, fans hope for a sequel seems to have been squashed now but the game stands on its own well, with a deep and engrossing story line created out of characters you would not expect to be portrayed in such a gritty light. While Telltale continued to churn out games at a quick pace, they began to lose their once dedicated fanbase. The overabundance of games began to become too much to keep up with, and sales began to falter. While The Walking Dead franchise remained popular, all newer series fell by the wayside and promised games began to be dropped from the release schedule. Then, on September 21st, 2018, the inevitable happened; Telltale announced a majority studio closure and laid off nearly all their staff. The fate of the final episode of The Walking Dead became unknown, and fans took to the internet to beg someone, somewhere, to help Telltale find the means to finish the story. The other games in the pipeline mattered little, but The Walking Dead had captivated so many for so long that fans couldn’t cope with the thought of never knowing how Clementine’s story ends. The cries of the fans were answered, as Robert Kirkman, the creator of The Walking Dead comic series, announced that his production company Skybound Entertainment, or more specifically Skybound Games, would take on the task of completing the final episodes of The Walking Dead’s final season. That silver lining aside, it’s seems the future is bleak for Telltale Games. Many others have taken up the episodic story mantle though, most successfully Dontnod Entertainment with their indie darling Life Is Strange. 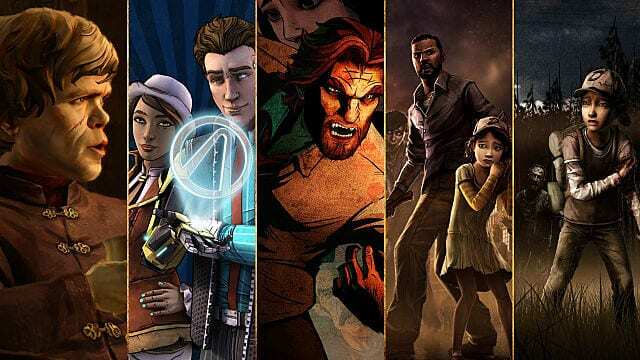 Here’s hoping Telltale Games finds a way to bounce back and continue releasing their unique, episodic games. Until then, gamers should appreciate the wrench that this small California company threw in the gaming mold and enjoy the games that Telltale did give us. 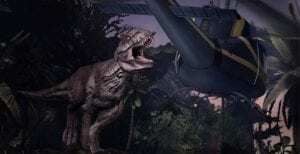 In case the studio never recovers, we can hope that the seeds they planted will help future developers continue to look at games as an open-ended medium for telling thought provoking stories in unique and inventive ways. 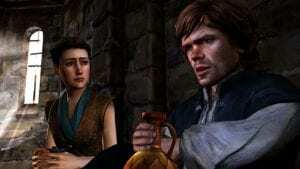 Do you enjoy Telltale Games brand of storytelling? Let us know in the comments!